The teaching of human sexuality in Catholic Schools should be done with prudence and handled by teachers sound in the faith, the President of the Catholic Bishops’ Conference of Nigeria (CBCN) and Archbishop of Benin City, Most Rev. Augustine Obiora Akubeze has declared. 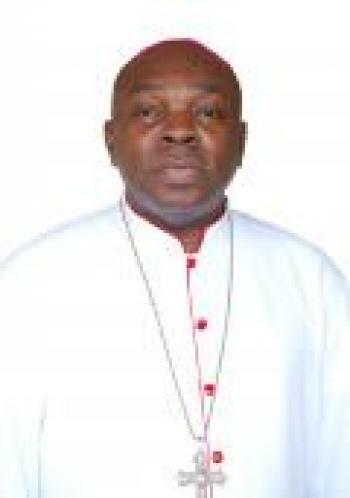 Archbishop Akubeze made the declaration in his homily at the opening Mass for the third National Catholic Education Summit, held recently at the Catholic Secretariat of Nigeria (CSN) Resource Centre, Durumi, Abuja. The theme of the summit was: Catholic Education in Nigeria: Challenges of Child Protection and Human Sexuality. It was attended by over six hundred participants from all the Archdioceses and dioceses in the country as well as other stakeholders in the education sector. Stressing the importance of education in the life of the human person and the development of the nation, Archbishop Akubeze noted the theme of the summit to be very apt and timely. He however added that students must be taught that success comes from hard work and prayer. The Archbishop also contended that education is one of the best ways to help a person discover the truth; and Catholic Schools should be places of holistic formation of the human person. On the way forward for quality education in the country, Archbishop Akubeze while noting that education is the basic right of every Nigerian child, called on the government to create an enabling environment through support of private and mission schools. He also called on all those working in Catholic institutions in the country “to ensure that there is safe environment for every child and vulnerable adults”. Speaking on the readings of the day, the CBCN President stated that they emphasize equality in faith as well as the need to be submissive to authority. He said that the Bishops, who are successors of the Apostles, must be obeyed, especially when they teach about faith and morals. He remarked: “We should avoid the practice of selecting which of the doctrines we accept in the Church. Respect and obedience should produce good fruits in our relationship with our superiors. Obedience requires submission of our will to the orders of our superiors”. He however added that it should not be confused with been stupid, personality idolization or sycophancy.